of the 26o reviewed in both 2016 and 2017 editions. and that includes a few SUVs. One of which is the ASX, which handles on par with the others. Hmmm strange as under pinning are those of the lancer, so maybe raise the suspention to increase ground clearance and improve handling!!??!:? which have gone way beyond. OK yes with bigger sheet mettle changes, cosmetics and heaps of hype! BUT same platform!! 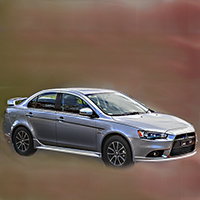 Note reviewers in general seem to take a negative stance when reviewing the lancer. Wonder why! powerful versions and reviews are so often carried out on that particular version. I don't believe they could be THAT silly or lousy! It seems mitsi gave up on the lancer years ago, the CF was a fresh look(sorta) to pop up bit more in the market, and if seemed to work, handling wise the car is old, the whole platform Is old, for the people who know a bit about lancers or are passionate for there, the AEM market for performance and handling is broad but for the general person who wishes to buy a lancer with just the need of the car itself yeah, it doesn’t handle the greaaatest. Nothing some new shocks and urethane bushes can't fix maybe some 225/235 wide tyres (for those with 18s) or 18 inch rims for those with 16s or 17s, if you have an ES or other variant without it, a rear sway bar can help. 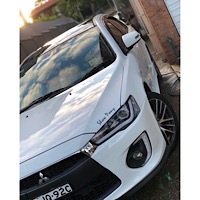 mostly factory parts also... most reviews will only look at one spec of the vehicle, and when the lancer had as many trim levels as it did (ES, VR, VR-X, Ralliart, EVO-X, EVO-MR, Aspire, LX, Olympia, and a couple more), it makes sense they aren't going to test all of them even though they could, it'd only take a week. Handling is such a vague concept as it will vary person to person and vehicle to vehicle. Some people like oversteer, some understeer. Some like driffting, some smooth lines etc. 2016 and 2017 will have the electronic power steering so will feel completely diffrent to the older hydraulic system. Electronic feels dead but more consistent across different speed ranges not dependant on engine rpm. But tyres play a much larger role in handling feel so to accuratly compare car to car they really need the same/comparable tyres. Electric power steering came in around 2013, my 2013 MY14 has it. So handling wise, what are the best bushes to change also taking into account ease of fitment? Been wanting to do it but not sure the best to replace. Also the car is still under original 5 year warranty. I never liked the feel or driving experience of the electric power steering models as I got no feedback through the wheel. The earlier models were ok and a set of decent rubber sorted most of the issues. One of our QLD members is doing insane track times in his NA Lancer, no handling issues there. So, like a lot of cars, a mild tweak from stock and you have a great car. 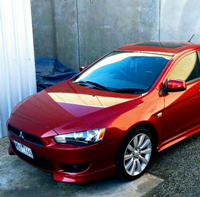 An ES Lancer is a budget vehicle so dont expect Mitsu to throw top end parts at it stock. The lancer is built to the economy end of the budget including bugger all sound deadener. prefer slight understeer to oversteer, neutral would be nice and comfort. So rear sway bar is out for me. Rear upper strut bar fine, have already fitter upper front strut bar.